A short observation of history will tell you that authoritarian regimes have a tendency to artificially construct a sense of unanimous support amongst their citizens; and the Kremlin regime is no different. Much like in the Soviet Union, Putin and his associates have used the framework of elections not to challenge and defeat rivals through political debate, but instead to ‘prove’ the overwhelming support from – in the case of the March 2018 presidential election – over three-quarters of the Russian electorate. The widespread election fraud noted by independent election observers, coupled with video evidence of ballot-stuffing, already renders the elections from March 2018 invalid. And that is before you consider how many independent election candidates were barred from standing. Authoritarian regimes such as that of the Kremlin are inherently arrogant in their view of society and the balance of power within it. Where, one the one hand, democratic societies foster and actively promote a pyramid power structure in which the power of the public is respected, authoritarian regimes, on the other, flip this power scheme on its head. This is not to say that the power relations change, but rather the perception of power relations by authorities changes. Basic geometry will tell you that a pyramid is far more stable when stood on side than when it’s balanced precariously on its corner. It is therefore unsurprising that authoritarian regimes call upon state-sponsored violence and political oppression as stabilisers when the pyramid begins to wobble. However, we should consider that we are entering the 19th year of Putin’s dictatorship. Over this period Vladimir Putin and his team of autocrats have cleverly used sham elections to paint a picture of apparent political stability and support. And as long as Putin and his gang remain in the Kremlin, presidential and federal elections will continue to be a ‘meaningless ritual’, yielding no results for real democracy in Russia. At the same time, a pyramid that has been forcibly balanced on its tip for 19 years will undergo significant structural stress. The result of this is, metaphorically speaking, that the two raised corners begin to buckle due to the lack of structural support, which in turn exposes cracks throughout the core of the pyramid. A prime example of these cracks was the result in a recent gubernatorial election in Khakassia, where communist challenger Valentin Konovalov was denied victory after a suspicious last minute surge in votes for the United Russia candidate. The Kremlin has since ruled the election invalid due to ballot-stuffing. The inability of the Kremlin to keep control over the rigged elections that it holds solely to give the most superficial impression of democracy certainly highlights the struggles the Putin regime is experiencing in keeping its power pyramid stable. The unprecedented public support for an opposition candidate – albeit for a candidate from the sanctioned opposition – is also indicative of a desire for political change amongst Russian citizens. However, this political consequences Khakassia case will be limited. Governorships occupy a significant symbolic position and are to close to the Kremlin power nexus for Putin and his associates. Therefore, the symbolic loss of a governor may strike fear into Kremlin elites, which will most likely to lead to a reactionary stifling of what little democratic practice that still exists in Putin’s Russia. It is imperative that Kremlin decision-making is viewed in terms of the self-centric top-down approach outlined above. The closer that challenging democratic forces are to the core of this power structure (i.e. the presidential seat in the Kremlin), the more drastic the measures will be for stifling democracy. The case of Alexei Navalny demonstrates this logic perfectly. Navalny – Putin’s most vocal opponent in Russia since Boris Nemtsov – has been imprisoned three times. 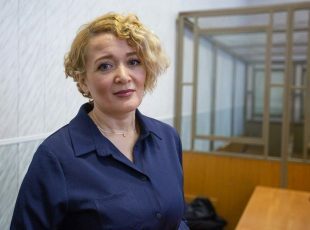 The decisions to send the anti-corruption activist to prison were deemed by the European Court of Human Rights as ‘politically motivated’. This is to be expected, as Navalny himself is a direct challenger to Putin’s throne. From Kremlin perspectives this is a grave and existential threat, made more dangerous by their top-down perception of power relations. In effect, such a direct challenge for Putin’s presidency is far too obvious for Kremlin strategists, who will call upon all the powers of the state to prevent this from happening. In comparing the cases of Navalny and Konovalov, we can note that the severity of Kremlin response increases in relation to the proximity of the challenge to Kremlin authority. Valentin Konovalov challenged the Kremlin regime on a largely symbolic level, whereas Navalny presents an existential threat for the regime. Though this may appear obvious, this logic is central to understanding how democracy can prevail in Russia. As the Kremlin looks down on its opponents, paying most attention to ‘existential threats’ such as Alexei Navalny, it may neglect democratic forces operating at what it considers the ‘lowest’ step of power relations: the general public. From the perspective of Russian democrats, this misreading of power relations may serve to be the proverbial achilles heel of the Putin regime. Just a brief look at the results of the 2017 municipal elections will tell pro-democracy forces in Russia that success can be achieved, at least in part. The elections that took place in September saw 200 independent candidates elected to municipal Dumas around Russia, marking the most successful election for non-Kremlin candidates. 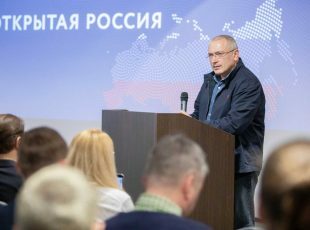 This achievement required serious mobilisation of pro-democracy NGOs like Open Elections – an initiative founded by Mikhail Khodorkovsky – which spent the pre-election period educating prospective candidates about key campaigning skills, such as door knocking, speaking to voters and fundraising. Such skills were taught as part of a two-week election course, offered to independent municipal candidates by the Open Elections initiative. Grassroots democracy in Russia is not only more able to circumvent the observing eye of the Kremlin’s various security agencies, but it also challenges the stupidity and incompetence of municipal deputies of the United Russia party. In recent weeks, United Russia municipal deputies have made an embarrassment of themselves, stating that ‘Russia owes its young people nothing’ and that ‘it is the Russian people that should provide for the state, not the other way around’. Such rhetoric is indicative of the lack of basic understanding that United Russia politicians have regarding the structure of a nation-state, as well as of the absence of duty their feel towards their electorate. They are blinded by ignorance and the financial benefits (embezzlement schemes, for example) made available to them by their positions in local governments. Despite the electoral success of independent deputies in municipal elections, Kremlin-run administrative bodies have sought to stunt the deputies’ ability to address issues important to local residents. Local residents had taken issue with the organisation of public transport networks in Moscow, as well as the installation of a new statue of Islam Karimov, the former leader of Uzbekistan, in the centre of Moscow. Though minor issues in the grand scheme of democracy, such factors play a role in the everyday lives of residents and are typical topics of debate for municipal politicians. In responding to independent councillors, Kremlin administrative authorities rejected public demands for referenda on this issues. 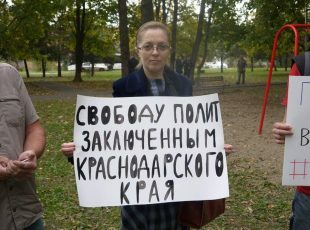 Local politicians require support from NGOs if they are to challenge and overcome the anti-democratic obstacles placed by Kremlin administrative bodies. Open Russia Human Rights has consequently set up a new project, through which independent politicians can apply for assistance when dealing bodies of the state. Legal experts from Open Russia Human Rights received over 40 help requests within 24 hours of starting the project. This indicates the length to which Kremlin administrative bodies will go in order to resist the will of politicians elected by local residents. Despite the problems faced by local politicians, it is clear that grassroots movements are to play a fundamental role in toppling Putin’s pyramid of power. As the cracks in this power structure widen – because of unrestricted corruption, declining living standards and a stagnating economy – the seeds of democratic change sown over the last 20 year may start to grow, navigating their way steadily through these schisms. Where presidential challengers and non-Kremlin governors represent a direct challenge to the Kremlin’s authority, grassroots movements develop subtly over time, avoiding direct confrontation with the Putin’s authority and changing the perception of democracy amongst ordinary Russians along the way. 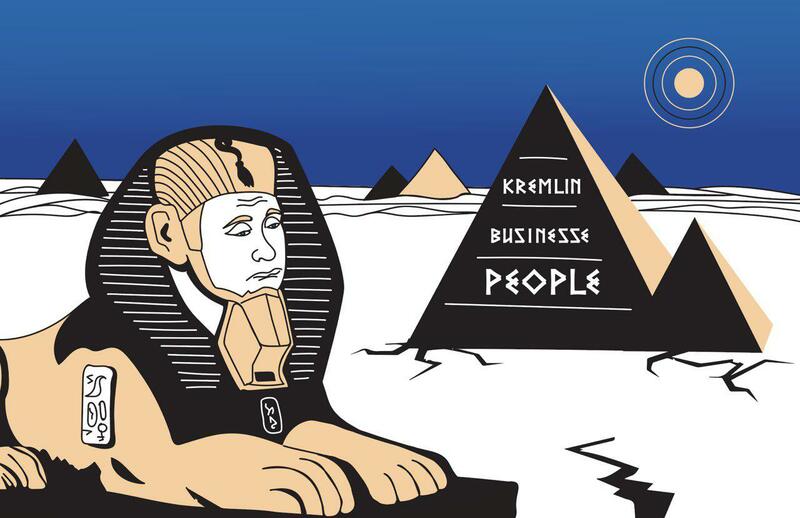 By the time the grass reaches to the top of the pyramid, the internal structure will be ready to collapse, leaving a pile of rubble on which a new, democratic Russia can be built.